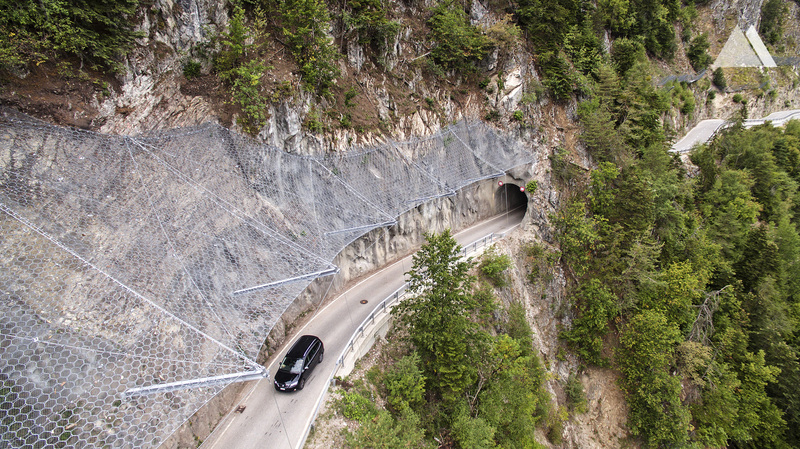 The terrace complex of Vercorin above Sierre in the Rhone valley is reminiscent of an eagle’s nest. The Valais holiday village lies between the “Vallon de Réchy” nature reserve and the valley entrance to the Val d’Anniviers. In peak periods, over one thousand vehicles drive up the Chalais-Vercorin road, and the village of Vercorin is also served by the post bus. 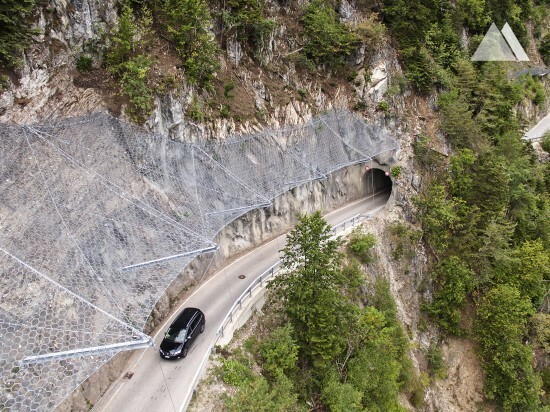 Frequent low-energy rockfalls permanently endanger the road traffic and the affected section between several tunnels. 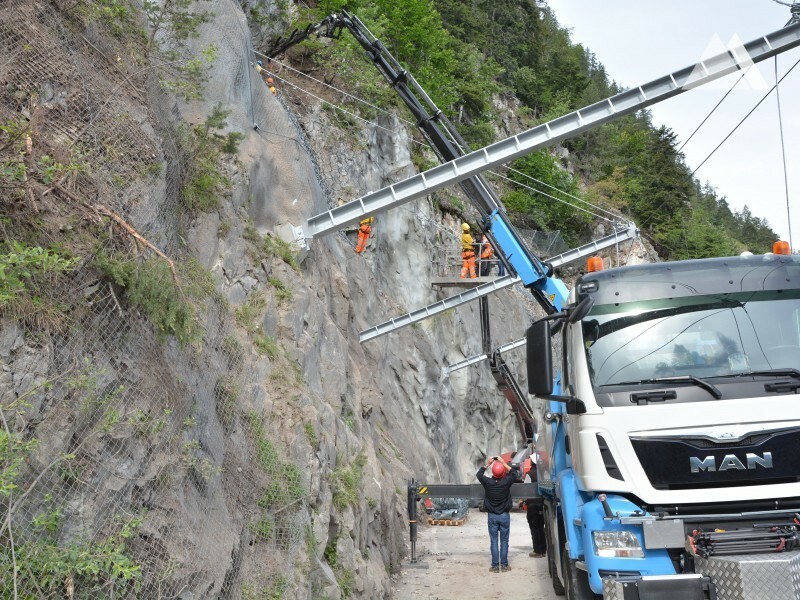 On the link road Chalais to Vercorin, the self-cleaning rockfall protection solution Canopy SC 500 has been implemented for maximum energies up to 500 kJ. Ring net dimensions could be determined. 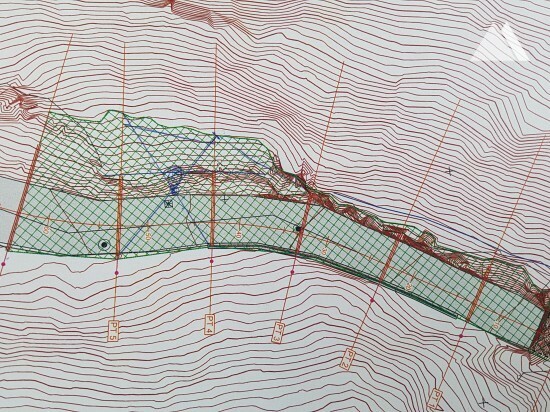 The location of the construction had to be defined in advance using the FARO model. By determining the deflection of the net (structure gauge), the positions of the anchoring could be defined. TECCO® G45/2 was used as secondary mesh to prevent smaller stones with high fall velocities from piercing the mesh. 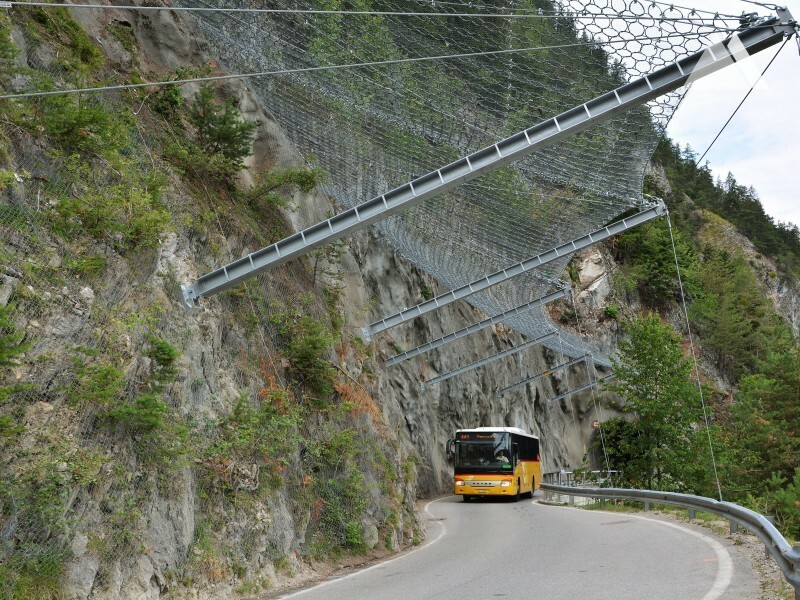 High importance was attached to covering the rock face with protection nets. No holes between these two elements were tolerated.